As the two boys had been walking in silence since crawling through the tree bark, Jack felt it was only right that he should try to get to know his new friend. Silenced washed over the two again as they continued to walk along the muddy terrain. Every few yards, the boys stumbled over upturned roots and branches that had fallen from the looming trees above. All the while as they were walking, the moon had been their guide and its light beat down upon the path they were taking. As the minutes passed, the mud underneath their feet became rocks and pebbles. Then the stones gradually became neater and neater. Jack soon realised that they were walking down a path and at the end of the path there was a house. A large, magnificent house that looked like it hadn’t been occupied for one hundred years or more. Together, they stopped and together they looked up at the building. The moon had found its place in the sky directly behind the house and its bright beam illuminated over the many flaws that had been left hidden in the shadows: the broken windows, cracked roof tiles, weeds and ivy growing in and out of crevices in the brickwork and a door stood slightly ajar hanging off its hinges. “Death has swallowed this house whole,” Will said quietly. What was once a grand Victorian design now stood lonely, decrepit and haunted by its past grandeur. Any life that had lived there had left long ago. It didn’t look very safe. To the left of the house, Jack noticed that part of a wall had crumbled in on itself and remnants of rock and stone had fallen and piled on top of each other. Hundreds of weeds had taken root along the path, so much so that it would prove difficult to walk upon without getting your foot tangled in an over grown thistle. The path led to a huge door that once stood bright green, but now the paint had peeled and rotted away leaving behind only dull and splintered wood. “What would I need protecting from?” Jack asked. Something moved in the darkness. A flicker in the peripheral vision, if you like. Had it being a normal day in normal hours in Jack’s normal school surroundings, it would have gone unnoticed. It wasn’t a normal day – far from it. Jack quickly glanced upwards to his left and his sight rested on a roof slate that was hanging precariously from the top of the dilapidated building. There was a black shadow resting on the slate and it looked as if it was tipping it backwards and forwards as if it were threatening to knock it from its place. Jack’s hand found Will’s arm and the firmness of the grip told Will that something was wrong. He followed Jack’s gaze and saw the shadow. He didn’t panic. It wasn’t fully formed yet and its power was not at full capacity. It was getting stronger by the day, but right now, this shadow could do very little harm to the boys. Certainly, it could send that roof tile flying off the house and crashing onto the ground in front of them but it was choosing not to. It was just watching them. For now. In fact, Will wasn’t even sure that it knew that it had been spotted. “What is it?” Jack asked. His voice was an octave higher than usual. “It’s time to go,” Will repeated. Without turning their backs on the house, the boys backed up slowly onto the stone path. It wasn’t until the bright light of the moon was shining above them that they turned away from the house and returned to the tree. In silence, the two crawled back through the hollow stump and out into the open air. Jack didn’t think anything of it, but he had been leading the way through the tree. Slowly, like before, as his vision began to adjust to the darkness around him, he could see strange scratches on the inside of the bark. He realised, once again, that light had begun to seep in. This time it wasn’t the moon. The light felt warm against his skin, just like the sunlight had earlier when he walked out through the PE doors. How long ago was that? Hours? Days? It felt like a life time ago. If anyone had asked Jack what lesson he had sat through period one that morning, he would not have been able to say. He finally stepped out into the bright sunlight and turned to wait for Will to emerge. Only he didn’t. Jack was alone. A sudden panic hit him. Had he made it into the tree behind him? He was certain he had because he could hear his breathing behind him as they crawled through the dry mud. What if it hadn’t had been him? In his mind’s eye, he saw the shadow seated upon the roof of the safe house and shuddered. Jack bent down and peered back inside the tree. The hollowness of it, however, had gone. It was just a tree, a large tree with a huge bark and in that bark there was a hole but it was not a hole a teenage boy could crawl through. 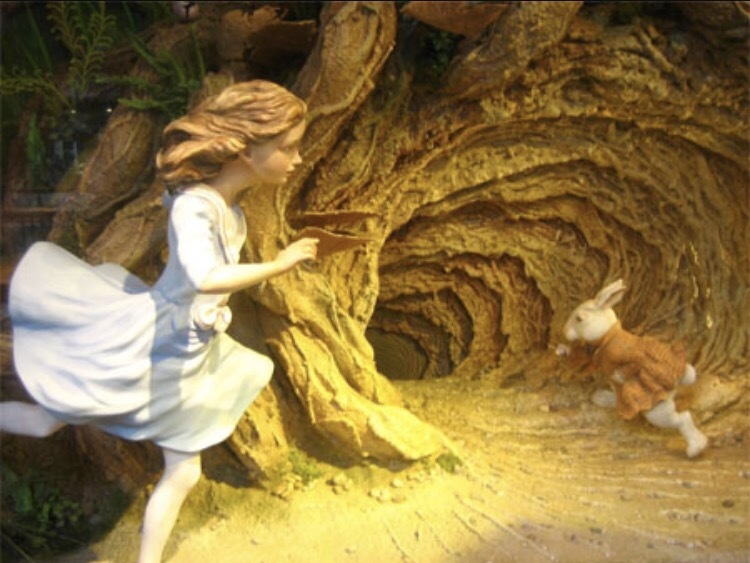 No, it was just a small hole that led into the dirt – it was probably a wild rabbit warren. It certainly was not a doorway to another world. Jack felt his skin turn cold. Had none of what he had just experienced been real? Perplexed, he glanced around him. In the distance, he saw his school and he was standing on the playing fields where Will had been standing and waving at him earlier. Suddenly, he could hear his name being called from afar. He turned back to the tree to see if the noise was coming from within. However, much to Jack’s relief, it wasn’t. He turned back towards his school and saw a speck. The speck, he saw, was wearing a red jacket and was walking towards him and growing with every second that passed. The speck became the blurry outline of a boy and the boy was waving at him. For the briefest of moments, Jack thought it was Will and was so pleased because it meant that he hadn’t made it all up in his head but then he was able to make out the voice. Jack stood staring silently at Michael, who was now standing in the field in front of him. Still Jack didn’t speak, but he began to walk towards the fence that was separating him from his best friend. He found the hole in the fence and climbed back through it. “Um, I thought I saw a rabbit or something,” Jack said. The two boys began walking back to the school building. Jack turned to look behind him, hoping to see Will but to no avail. Unbeknown to him, in his pocket, his phone lit up and his signal returned. The time on the clock on the phone was 10.10am which meant, according to his phone, he had only left English five minutes ago and would only be two minutes late to Geography due to a quick detour out of the PE doors to chase a wild rabbit down a hole.